CarGurus has 24,442 nationwide Durango listings starting at $1,000. The 2009 Dodge Durango Limited Hybrid brings Dodge into the twenty-first century. The pricey ’09 Durango Limited Hybrid may not be enough to save this species of a dying breed. 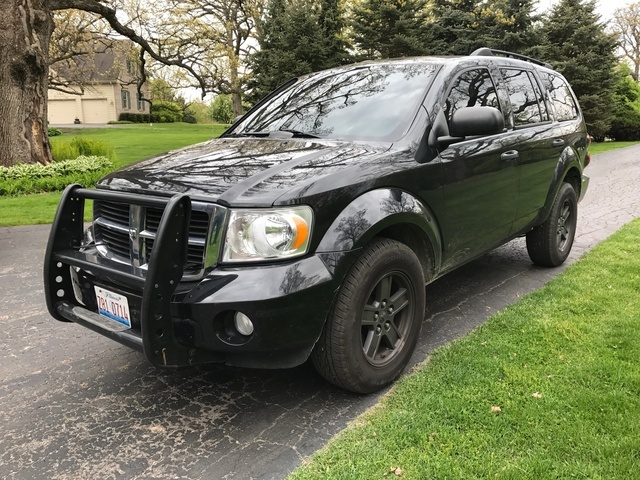 With its choice of V8 engines and smoothed-out ride, the 2009 Dodge Durango will doubtless find a home with the campers and boaters among us, at least for the moment. But the Durango Hybrid's hefty pricetag will require a lengthy ownership experience before any fuel savings will be put in the bank. At last! Chrysler Corporation has seen the light and finally offers hybrid vehicles. The long-anticipated 2009 Dodge Durango Limited HEV and the ’09 Chrysler Aspen Limited Hybrid (essentially the same vehicle with a different grille and badge) bring Chrysler and Dodge into the twenty-first century. Introduced in 1998 as a midsize SUV, the Durango underwent a design change in 2004, becoming a bit larger to place itself squarely between a midsize and full-size SUV. Besides the new Hybrid trim, the Durango features three conventionally powered trim levels in 2009, the base SE, midlevel SLT, and the high-end Limited. For ’09, the Durango re-labels the base SXT as SE and loses the Adventurer moniker altogether. In 2007, a few design tweaks added to an already stylish appearance – though the awkward bulge remains over the wheel wells even in 2009. And recently upgraded engine efficiency as well as a number of additional technology and safety features keep what some reviewers feel is a relic still reasonably competitive in a weakening SUV market. The entire 2009 non-Hybrid Durango lineup is available with either rear-wheel or four-wheel drive, with the Durango Hybrid delivered in four-wheel drive only. All Durangos have five doors and are offered in five-, seven-, or eight-passenger configurations, a third-row seat being optional for the SE trim. Reviewers note that the Durango has managed to retain its best-in-class roominess (152.4 cubic feet), cargo capacity (102 cubic feet with the rear seats folded flat), and hauling prowess (maximum payload capacity is 1,780 pounds, and max towing capacity is 8,950 pounds when properly equipped), thus proving that this large SUV, though dated, still has a niche. The 2009 Durango offers a choice of three engines and three transmissions, with the new Hybrid trim incorporating a V8 Hemi with its own unique transmission. The base 3.7-liter V6 with a four-speed automatic transmission is standard on the non-Hybrid Durango rear-wheel-drive SE and SLT trims. This combination huffs out 210 hp at 5,200 RPM and 235 lb-ft of torque at 4,000 RPM, with an EPA rating of 14/20 mpg. One reviewer claims the V6 does 0 – 60 in just over 12 seconds, and nearly all professional reviewers consider it an inefficient waste of under-hood space. Far better received by reviewers and owners is the 4.7-liter Flex Fuel V8 with a five-speed automatic that achieves a respectable 303 hp at 5,650 RPM and 330 lb-ft of torque at 3,950 RPM. Standard in the ’09 non-Hybrid Durango SE and SLT four-wheel-drive trims, as well as both rear- and four-wheel-drive non-Hybrid Limiteds, the 4.7-liter with its five-speed gets an EPA-estimated 14/19 with rear-wheel drive and 13/19 with four-wheel drive. With its Flex Fuel capability, the 4.7-liter V8 is equally adept at running on gasoline or 85% ethanol fuel. At least one reviewer feels that the 4.7-liter V8, though adequate, chuffs a bit when trying to pass. 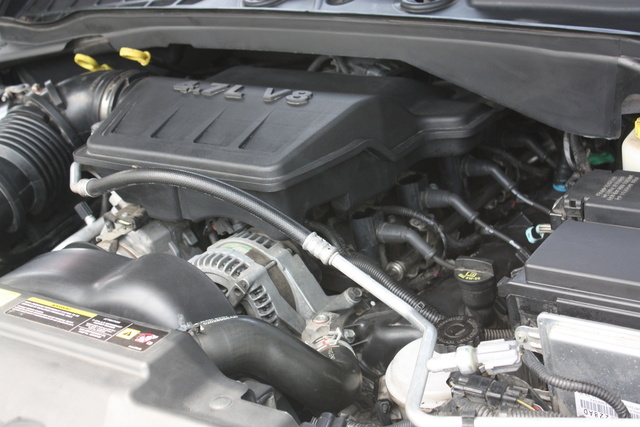 Chrysler's 5.7-liter Hemi V8 with the new-for-’09 MDS system, which shuts down four of the eight cylinders when cruising on the highway, along with the five-speed automatic transmission, is available with both the SLT and Limited trims. The Hemi pounds out 376 hp at 5,650 RPM and 401 lb-ft of torque at 4,200 RPM. Mileage is estimated at 13/19 with both rear-wheel and four-wheel drive. The ’09 Durango Hybrid packs the 5.7-liter Hybrid Hemi V8 and two 87-hp electric motors, which uses the well-wrought Electronic Constant Velocity Transmission (ECVT) to provide the new Hybrid with 399 hp and 390 lb-ft of torque, allowing for a respectable 1,440 pounds of payload and 6,050 pounds of towing capacity. Dodge claims that the ’09 Durango Hybrid gets 20/22, a fuel savings of some 40% in city driving and 25% on the highway. The dual-mode hybrid technology for the Durango Hybrid was developed jointly by GM, BMW, and the now-defunct Daimler-Chrysler marriage and allows the Durango Hybrid to travel at up to 25 mph on battery alone, resulting in considerable fuel savings around town. Though some reviewers claim that a bit of clunkiness in the ECVT is annoying, and that a noticeable throttle lag with the ECVT negates what ought to be a significant gain in power over the conventional Hemi V8, most agree that the fuel economy numbers are worth the annoyances. The five-speed automatic transmission includes a hauling/towing feature that helps fuel economy when hauling a load. There is also an optional lower gear available with Durango four-wheel-drive trims intended for a bit of off-roading – a capability that reviewers find the ’09 non-Hybrid Durango, with its truck-based chassis, far better suited for than most of its competitors. The truck-based ’09 Dodge Durango rides and handles a bit differently than a sedan or car-based crossover, but this discrepancy seems to disturb professional reviewers more than owners. Though the Durango’s competitors strive for plusher underpinnings, Dodge continues its tweaking of existing suspensions and, with the ’09 Durango, has tamed the ride to at least acceptable levels of smoothness and comfort. The 2009 Durango offers a “live” rear axle containing a three-segment linkage in place of the commonly used independent rear suspension. Dodge claims, and many reviewers agree, that the multi-link rear axle saves weight and space while equaling or bettering the ride qualities of the independent rear suspension. The Durango SE sports 17-inch wheels, the SLT and Durango Hybrid feature 18-inch wheels, and the Limited rolls on 20-inch chrome-clad cast-aluminum wheels, all of which seem suited to maintaining the Durango’s ride and handling qualities. Though a few differ, most reviewers of the ’09 Durango lineup claim a smooth, comfortable, and quiet ride, with at least competent steering, and better-than-adequate handling capabilities. Significantly, owners make no mention of deficiencies in either ride or handling characteristics for the Durango trims. For 2009 the Durango features enough standard and available comforts and conveniences to satisfy virtually all professional reviewers. The gauges and controls are easy to read and conveniently accessible, with standard and optional features plentiful and user-friendly. 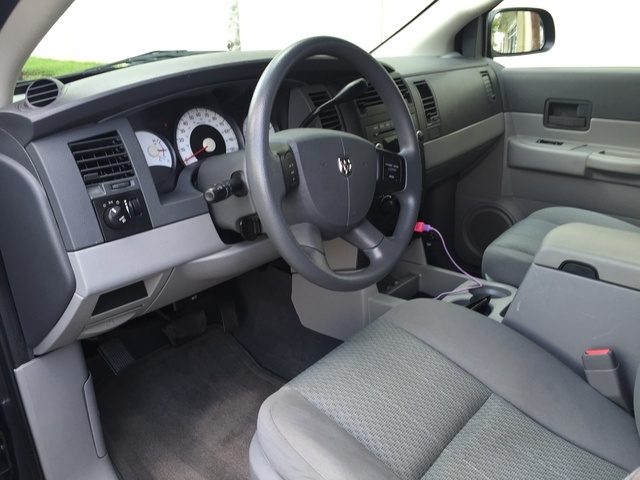 Passenger space is described as “generous,” with more than enough head- and legroom all the way around. 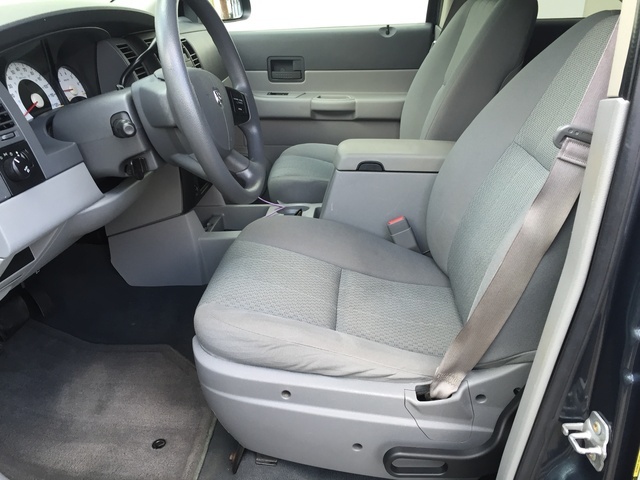 Even the third-row seating, standard in the SLT and both Limited trims, is found to be adequate for adults, at least on short trips. Standard comfort and convenience features for the base ’09 Durango SE include air-conditioning, cruise control, tilt-wheel steering, front bucket seats, power windows, locks and (heated) mirrors, remote keyless entry, foglights, the SentryKey theft-deterrent system, a single-disc CD/MP3 player, on/off-road tires, a tachometer, and roof rails. Options for the ’09 SE include the 4.7-liter V8 engine for the rear-wheel-drive trim, rear-seat climate control, remote start, SIRIUS satellite radio, a Class IV trailer-towing setup, and a split-folding third-row bench seat. The Durango SLT trim additionally offers such standard features as rear-seat air-conditioning and heat, a leather-wrapped steering wheel with mounted audio controls, an eight-way power driver’s seat, an Alpine 6-CD/MP3 changer with satellite radio, and automatic headlights. Options available for the SLT include the 5.7-liter Hemi V8, 20-inch chrome alloy wheels, a three-passenger third-row seat, leather upholstery, heated front seats, a power liftgate, power sunroof, and rear-seat DVD with just-introduced SIRIUS satellite TV entertainment. For 2009, the non-Hybrid Durango Limited trim features dual-zone climate control, leather upholstery, heated front seats with a four-way power front passenger seat, UConnect hands-free communication technology, the ParkView backup camera system, power adjustable pedals, and a power liftgate as standard equipment. The Durango Hybrid Limited adds the UConnect GPS navigation system with a 6.5-inch touch screen, and a universal garage door opener, standard. Options for the non-Hybrid Limited include the 5.7-liter Hemi V8 and a 30-gigabyte GPS navigation system. Reviewers find the 2009 Dodge Durango quiet and well-appointed with reasonably upscale materials and quality construction. One reviewer, however, mentions that for its price, a bit more luxury and plush comfort ought to be provided with the Durango Limited Hybrid trim. Four-wheel disc ABS with brake assist and electronic brakeforce distribution, advanced multi-stage front airbags, supplemental side-curtain airbags, advanced roll-sensing technology, side-impact door beams, Electronic Stability Control (ESP), traction control, trailer sway control, a tire-pressure monitoring system, and the SentryKey theft-deterrent system all come standard with the 2009 Dodge Durango. The ParkSense and ParkView backup systems are standard on both Limited trims and available for the SLT. Several professional reviewers comment favorably on the ’09 Durango’s large window area, which provides better-than-average visibility all around the vehicle, and on the brakes, which are perfectly sized to bring this heavy brute to a quick halt. The 2009 Durango received five stars in NHTSA front and side impact tests. Owners of the 2009 Dodge Durango are well-pleased with their choice, though a few cite worse-than-expected gas mileage as a somewhat disappointing feature. Roominess, acceleration (at least with the V8s), and comfort top the list of what owners most appreciate in this almost-full-size SUV. The size of the ’09 Durango, as well as the hefty pricetag on the Durango Limited Hybrid dampens the enthusiasm of some owners. A couple of owners question the brake materials used on the Durango, but they have no complaints about its stopping power. Owner loyalty notwithstanding, the heavy, yet tolerably smooth ride as well as the hefty load-bearing capabilities of the Durango have owners smiling from the country to the big city, not to mention from the mountains and fishing spots and highways in between. 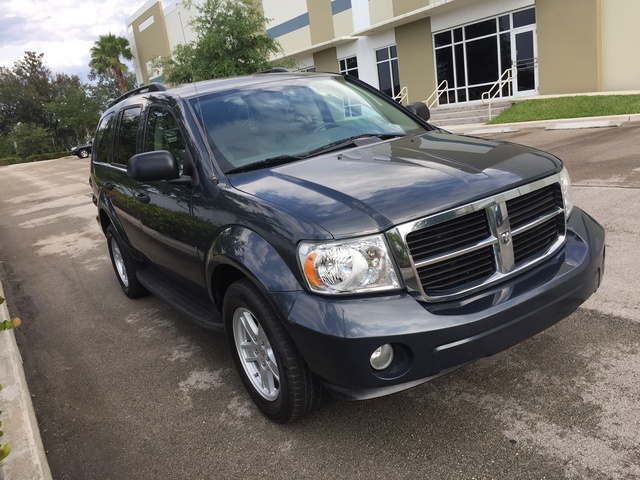 What's your take on the 2009 Dodge Durango? 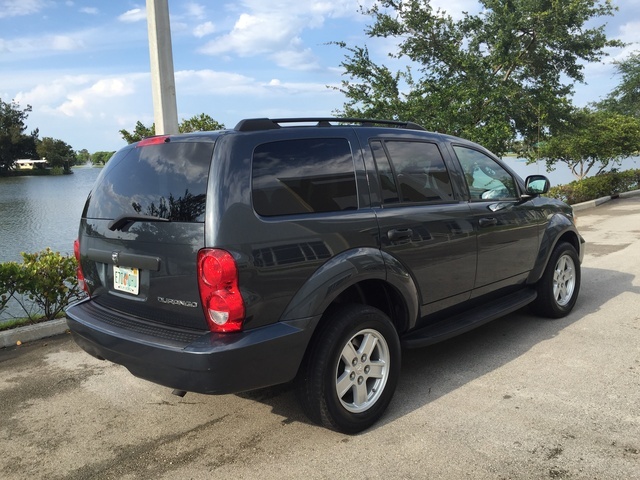 TPA_PILOT I absolutely LOVE my 2009 Dodge Durango Hemi Limited 4WD! Best SUV ever! Demi GO POWER combined with great tires and awesome CERAMIC brake pads! Great handling! 104K miles and zero significant issues! Towed my classic GTO on a U-Haul trailer thousands of miles with mine-handled great! I won't sell mine and get a new SUV until someone makes a better looking & performing one at a good price. 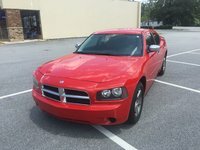 Users ranked 2009 Dodge Durango against other cars which they drove/owned. Each ranking was based on 9 categories. Here is the summary of top rankings. 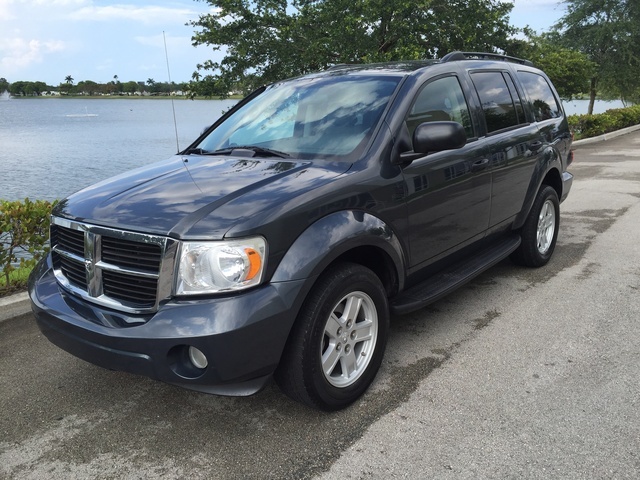 Have you driven a 2009 Dodge Durango?